can know they've made the right choice by choosing us. When looking for a hair salon in Auburn California, there is no better option than to visit Jaye Lauren. With over 28 years of experience and customer service, California residents can rest assured they are getting the most prestigious quality service for the most affordable rates. Priding herself on her work, Jaye Lauren is the most professional and experienced hair stylist in California and can easily provide her clients with the style they want with precision. You can stop searching online for “hair salons near me”. 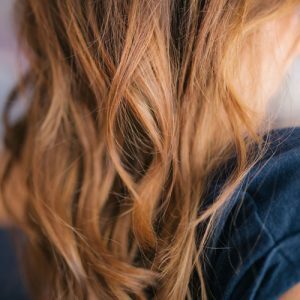 Our hair salon is located in the sunny and beautiful Auburn, California and we have spent years building a reputation in the local area. We can service both men and women, making us the perfect one stop shop for all the hair services you could ever need. Finding a high-quality mens hair salon can be a daunting task. Too often stylists spend all of their time learning and perfecting the art of coloring and cutting women’s hair. When they receive a male client, they breeze through it and you end up with the same style as every other man that walked into that salon. 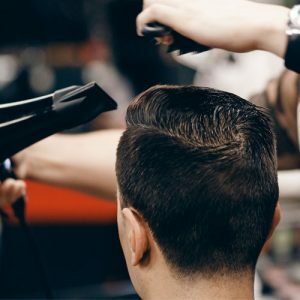 With us, your hair cut deserves as much attention and training as anyone else’s. The craze that has been sweeping the nation is Brazilian blowout treatments. This amazing treatment takes frizzy and unruly hair and makes it silky smooth. The before and after pictures are almost too good to believe! The system uses keratin, found naturally in your hair, to strengthen and smooth it. 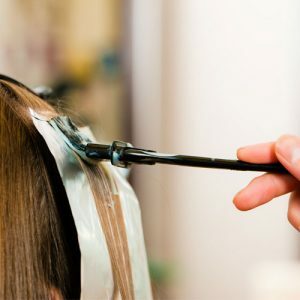 If you’re looking for a hair stylist, Auburn CA has no one better to offer than Hair Salon Auburn! Our stylists have a passion for all things hair and we know how to make hair curl, lay flat, or anywhere inbetween. Better yet, we know how to make it hold. So no hair will get loose while you’re enjoying the occasion. One of the facets of you that makes you who you are is your hair color. A different color can bring out a different side of your personality. And it shows others a piece of your individual self as well. That’s why we offer a myriad of hair colors and treatment types so you can rock your favorite you for the world to see. There’s more to the world of hair coloring that just the same solid color all over. We can create ombre hair in no time, giving you the eye catching look you’ve always wanted. 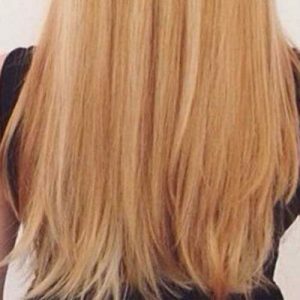 Ombre hair color is when one color fades into another. The most common version of this unique colors on the bottom gradually fading into a natural color on top. 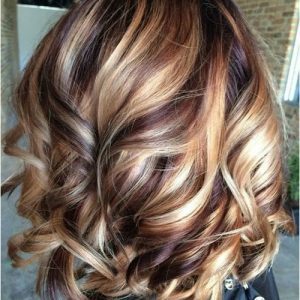 One of our many specialties is in the art of highlights. Highlights add light and dimension to your hair, giving you a look that will set you apart. And the best part? It’s an easy process that can be finished quickly in the salon and it’s available for both men and women. So anyone is welcome to come in and get the hairstyle of their dreams. Hair extensions are no longer reserved just for celebrities. Add extra volume and length to your hair by having our stylists add hair high-quality hair extensions at your next visit. We match the perfect colors for your hair and put them in a number of different methods. Hands down the best hair stylist in town. I went in for a color correction because my previous hairdresser had messed it up. It was perfect. Jaye had made my hair look even more beautiful then i had expected it to look the first time. She is truly an artist with hair. I can safely say she is the best hair stylist i have ever been too and i plan on going back. Ive been having my hair done by Jaye for years. Whether i want to just have my hair trimmed, colored, or something fancy like ombre, she can do it all. She is such a sweet person and has the experience of a true professional when it comes to hair. I have never been disappointed in the work she has done. I went to see Jaye at her salon and was blown away. I wanted a Brazilian blowout and she exceeded my expectations. The was very polite and made good conversation as she worked. I felt very comfortable with her handling my hair and i can definitely say i will be back. When it comes to finding a hair salon, Auburn CA residents can know they’ve made the right choice by choosing us. Hair Salon Auburn can take care of all your hair needs under one roof. From cuts and colors to extensions and touch ups, there’s nothing you can dream up that we can’t bring to life. And with decades in the business, our hands on experience cannot be matched. So come inside and meet the friendliest salon experts in town. We’re sure you’ll never want anyone else handling your hair again. BELOW YOU’LL FIND OUR MOST FREQUENTLY ASKED QUESTIONS! Below you’ll find our most frequently asked questions and their answers. If you still have questions or concerns before you book an appointment. give us a call and one of our stylists will be more than happy to help tackle any questions with a friendly smile. Hair Salon Auburn has been a staple of hair cuts, colors, and styles in Auburn, California for 28 years. That’s more than two and a half decades bringing hair dreams to life and making what we do an art. We put all those years of experience to work for you every time so you can expect only the best, guaranteed. While we are capable of just about any hair trend out there, we do have specialties that we pride ourselves in. Hair color and highlights are an art, not a science. But we know how colors work with hair types and how to mix colors to perfection. Detailed cuts and extensions are also one of our expertise’s that can bring eye catching detail to your hair. to come in every four weeks. Highlights and lowlights need to be looked at every three months. And haircuts should be done as needed for whatever style you’re hoping to maintain. Of course, however, you should always ask your stylist what they recommend to keep your hair looking just the way you want. Can you cut curly hair? We understand how crazy difficult it can be to find a stylist who will work with your curly hair. Even worse, once the work is finished, the bill tends to be exorbitant compared to your straight hair counterparts. Luckily, we have plenty of hands on experience, literally, working with hair that ranges from loose curls to tight ringlets. So we are more than happy to cut your hair with as much care as anyone else. Is a Brazilian blowout safe for colored hair? It sure is. In fact, if you come into our salon, we can color your hair and then apply a Brazilian blowout treatment on the same day. If you get your Brazilian blowout first, however, you have to wait at least two weeks before we can then color the hair. This gives the treatment the time it needs to set and limits the damage your hair will endure. Absolutely! There are plenty of reasons you may want to fix your hair color. Maybe you’ve been coloring it at home and it either doesn’t look good or you want to go back to your natural color. Or maybe you’re switching salons and want something new. 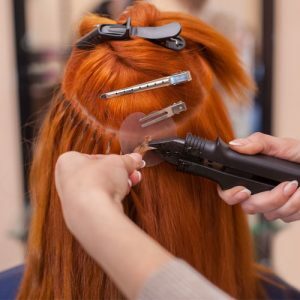 Depending on how many times your hair has been colored, or what products have been used for how long, there are a number of processes we might use for color correction. One of our stylists will work one on one with you to assess which process is right for your hair and then get to work on making it a reality. Are you ready to come in for everything from a simple trim to a complete style overhaul? Let your imagination run wild and we’ll use our knowledge and friendly attitude to make you feel welcome at the salon as we style away. From extensions and balayage to mens cuts and Brazilian blowouts. 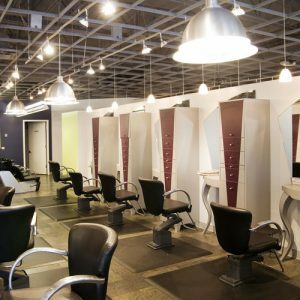 All of your hair fashion dreams can come true under one salon roof. We look forward to working with you soon!